New Edition! 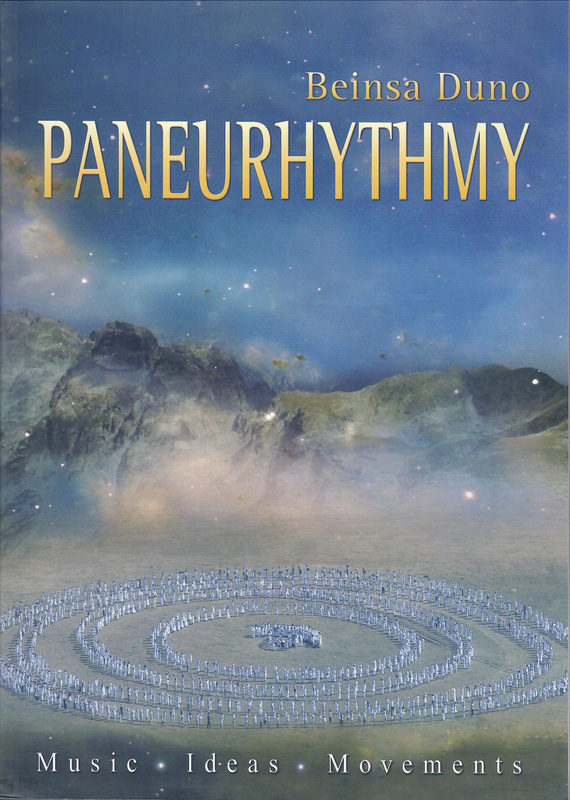 Paneurhythmy - Supreme Cosmic Rhythm , compiled and translated by Ernestina Staleva and Antoaneta Krushevska. Detailed instructions on The 28 Exercises, The Rays of the Sun, and the Pentagram, with music and lyrics, and numerous quotes from Beinsa Douno on the inner purposes of the various movements. The new edition is filled with beautiful color photographs as well as early archive photographs illustrating every movement ( sample page). 208 pages ( cover page). It is offered in 3 forms: By itself: $14. With Live at Rila CDin jacket pocket: $20. With Live at Rila CDin its own jewel case: $22. "In The Rays of the Sun when it is spoken about the "Mother", it means that Mother within Sentient Nature. Within the name "Mother", is hidden the Name of God. The exercises, The Rays of the Sun, are from the Temples of the initiated and are the music, speech and movements of the Sun. When you perform them, you become conductors of Love and Light, and you spread those rays and ideas that are to be transmitted throughout the world." Free Explanations and Directions for the Use of the Book, The Testament of the Colour Rays of Light In this small booklet, Beinsa Douno and a close disciple of his give instructions for a deeper understanding and effective use of the light/color meditations in The Testament of the Colour Rays of Light. 24 pages. "Success depends on the green colour. Refreshment is included in that colour too. Poverty is born out of an insufficiency of this colour, but its surplus leads to covetousness and stinginess. Therefor when the green colour assumes large proportions, we must turn to the red colour which will tone it down. The inordinate desires in this world produce the green colour. Self-denial means getting rid of the desire for useless things." "All disputes are due to the lack of colours. For example, the lack of the red colour leads to hatred. Let us make use of light, for everything depends on light which is essential to life. We shall include all colours in this life and then the seven spirits will unite and humanity will return to its original source." The Viola Bowman Collection Viola Bowman studied with Beinsa Douno in Bulgaria, before moving to the United States. She is one of the pioneers of Paneurythmy in this country. She has written 2 books about Paneurythmy, and provided a translations of the book Breathing, and of the Paneurythmy lyrics as they are sung in Bulgaria. Now, as she lives the later years of her life, she has offered her books on consignment for the furtherance of Paneurythmy. All profits from the sales of these books will go towards establishing a non-profit Paneurythmy Foundation to further the transforming work of Paneurythmy in the United States and elsewhere. Paneurythmy Volumes I and II. These books contain much of the deeper spiritual philosophy behind Paneurythmy. They include Viola's story of her time with the Master, a profound interpretation of Beinsa Douno's teachings on Paneurythmy and right living, with many quotes from the his teaching, the music and lyrics of Paneurythmy, as sung in Bulgaria, and instructions on the Paneurythmy. Volume II focuses on the Sunbeams and Pentagrams, and includes a special, updated version of the Pentagram symbol given by Beinsa Douno, that I have not seen anywhere else. The movement instructions may not be as precise as in other books, because the initial intended audience was school children. 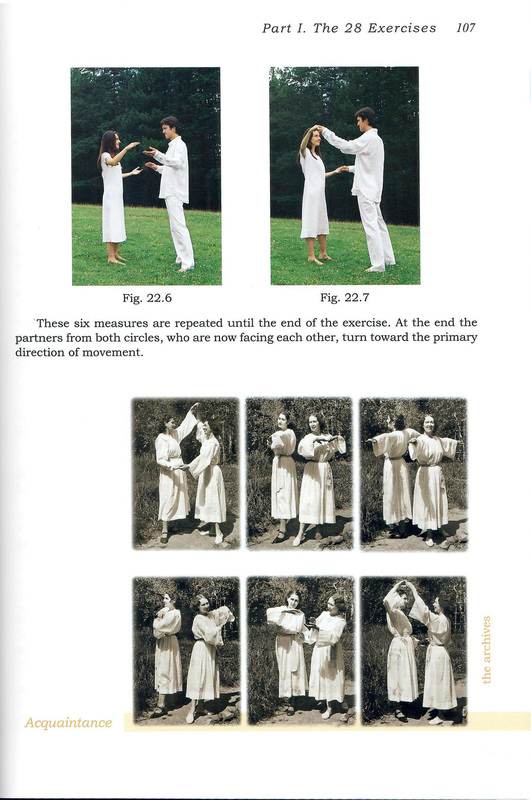 But as sourcebooks for deepening one's understanding of Beinsa Douno and Paneurythmy, these manuals are unparalleled. Vol.1, 120 pages. Vol.2, 82 pages. Volumes 1&2 are sold together for $25. The Master on the Divine Mother Love theme in the Sunbeams: "Until now, man was living for himself. But from now on Mother Love, as an impulse within the consciousness of humanity, is urging an improvement for everyone without exception. Therefore, all people must act together for the well-being and happiness of the whole of humanity". "Unconditional Mother Love is the door through which man can enter the Kingdom of Heaven. Christ also pointed out to us that Love is the only path for salvation of the human soul." "Your Mother is coming." Breathingby Boyan Boev. A close disciple of Beinsa Douno conveys a variety of breathing exercises for health and transformation, including various body movements, meditations, visualizations, etc., to be coordinated with the breath. 77 pages $12.00 "When you become sick, breathe and sing. If you hear that somebody is sick advise hime before anything elso to breathe deeply. If he doesn't know how to breathe he lies on his back and says, 'It is God's will.' which means he doesn't wish to make any effort to cure himself. If he thinks as God thinks he will make this effort." "You cannot change your thoughts if you don't change your breathing and vice versa... If man has an incorrect tempo of breathing he loses his correct thinking." "Breathe deeply, calmly and slowly if you want your affairs to go well." "Make an experiment with inhalation to think about the Light and in this way connect with its energies. These energies exist in the air from where you have to extract them. While you think about the beautiful scent of flowers, inhale the air. When you think of certain words as you breathe, you will see how each one has a different influence over the pulse of your heart. When man is inspired by highly elevated thoughts and emotions, the beating of his heart is rhythmical and the pulse is correct." "Inhale and exhale while thinking that your are accepting a white color, that this color falls over you as a shower. Then your inhalation is rhythmical. You count to four and with every inhalation and exhalation you will think about a white color and purity. It is advisable to do this exercise outside in the pure air if you have a garden." Prophet for our Times , edited by David Lorimer, A biography of Beinsa Douno, followed by numerous excerpts from his talks, arranged by subject (God, the Noetic World, The Divine School, Master & Disciple, Fundamental Principles of Life, etc.) 199 pages $15 "It is only with and through love that the world will be set to rights. For my part, I am leaving. My work will continue on the other side. You do not have much time left. Be vigilant and do not be discouraged. You must all progress with greater enthusiasm. Be sincere and true to your mission. May peace be with you. A small task has been completed." THE MASTER PETER DEUNOV: His Life and Teaching text by Milka Kraleva, Illustration by Hristo Hadjitanev, Design by Krassimira Despotova. This exquisitely illustrated book is the first full biography of Beinsa Douno to appear in English. It covers every period of his life, including his time in America, and is filled with fascinating details that shed greater light on the meaning of his spiritual mission. Numerous photographs and beautiful illustrations add greater substance to this biography. The price of this book is high, but well worth the investment for serious students of Beinsa Douno. Approx. 9.5" x 12.5", 88 pages, hardbound. $30. "Today, the equinoctial point is in the constellation of Aquarius....During it, all snow and ice will start melting [note: global warming? ]; there will be many contradictions but purity will be attained. The main characteristic of the Aquarius is purity. It is related with water which brings new life. We are already in the sign of Aquarius. The sign of the Aquarius determines supreme mysticism in man. The conditions now are the most favourable for work. Never before in the age of Christianity have there been better conditions." Along the Path of LightThis beautiful book is filled with beautiful photographs of Beinsa Douno and his followers, in the Rila mountains, at the Isgrev (Sunrise) center in Sofia, and in various other settings. The pictures are accompanied by sayings from the Master in Bulgarian, French, and English. Perhaps no other book conveys the wonder of life with Beinsa Douno, as well as this one. 72 pages, approx. 8x11", Second improved edition, $18. "Why have I assembled you here in the School? To form a society of people who should have a great love for one another and to form a milieu of Love, and from this center, there would be spread powerful waves of Love throughout the world, reach the human souls and wake them up." The Might of Love translated by Darin Stoytchev. A collection of potent quotes from Beinsa Douno on the subject of spiritual love, as the transforming force in human existence. The translation is a bit awkward in places, but the essential content is exquisite. 70 pages, $4.50. "Outside of Love, everything is a lie." "Love radiates lofty life." "The eye is a symbol of truth, it never lies. It is the man's sky, it is the soul's certificate. The eye, is the soul's speech." "Love has the most quiet voice." "There are things, which only God can resolve." "Love is food for the brain." "If you work with love, God and Mother Nature will help you." "When a man criticizes, he destroys the love in himself, and it leaves him." "Defeat evil with love". "In your love to God - you free yourself. In your love to the forms - you enslave yourself." "Outside of love karma acts." "Love bathes the man with streams of light." (from the book. Health and Sickness - Thoughts from the Lectures and Talks of the Master on the Problems of Human Health Compiled by Dr. Vassil Velev. This is the most comprehensive book to be published in English, on health and healing in the Master's teachings. It covers general principles, and also specific healing methods using food, water, breathing, solar rays, color rays, music, movement, thought, and spiritual healing. Not as systematic a presentation as Child of the Universe, but a larger collection of source materials that make a good companion work to the Child of the Universebooklet. 303 pages. $12. "There was a young girl in Knjazhevo, who during the time of the battles and conflicts that the Bulgarians had in1918 was wounded because a piece of cartridge had hit her arm. The doctors made her five or six surgeries but could not get the cartridge out and finally decided to cut the arm. Her family came to ask me what to do. I know the effect of the sunrays on iron and said, 'Let her expose her arm for three to four hours daily to the Sun. ' And really one day after three to four months of constant sun treatment the metal piece appeared from the cartridge, fell out and the child was relieved...The Sun produces electricity and magnetism and by that it makes the best surgery. " "Do the following experiment - you are sick, weak in spirit, but it is winter, you can't go out and have a walk. Imagine you are climbing a mountain peak, which you well know, you have been there and experience vividly the whole hourney as if your are taking it at that moment. Climb up the peak and get back. You may do a walk each day. This exercise of your mind would immediately tone up your brain." CHILD OF THE UNIVERSE (formerly Man - A System of Energies and Forms) Methods for Healing according to the spiritual teacher Beinsa Duno. compiled by Dr. Svetla Baltova. This expanded edition of Man - A System of Energies and Forms, contains a wide variety of useful methods for attaining and maintaining true health, including diet, exercises (with photographs), breathing, visualization, and music. 40 pages. $6. "You need music as a cure. In your life as a disciple you pass through great troubles and sudden changes, joys and worries, which deposit poisons in you. Music is a remedy for them. There are some kinds of feelings which could poison your whole organism and destroy your liver and bile. That is why the disciple should know how to sing.... The basic sound 'do' is the key of life. If sung correctly, man can obtain vital energy from the sun, which he can distribute to all parts of his body. By singing, we attract those forces of nature, which harmonise us. This is a law of attraction." Introductory Paneurythmy Lyrics, This handy booklet contains the full set of English lyrics for Paneurythmy, as well as those Bulgarian lyrics that were given by Beinsa Douno (Thinking, Aoum, The Rising Sun, The Blessing, Ti Si Me Mamo [from Sunbeams]), and some additional Bulgarian lyrics (Friendship). The English lyrics are mainly from Vessela Nestorova. The booklet can easily fit in a pocket, and is very helpful to bring to Paneurythmy sessions, if you want to learn to sing along. To quote from Barnaby Brown's introduction "The lyrics constitute the third of three strands, namely the form, substance, and sense of the Paneurythmy. When understood, they feed the intellect, just as the movements tune the body and the music fires the spirit. No Paneurythmy performance is complete without them. "48 pages. $4. The Grain of Wheat, This book covers a vast variety of teachings, music, prayers, photographs, and stories of Beinsa Douno, 300 pages, $20. Sacred Words of the Master, A Call to the Disciple, translated by Vessela Nestorova, 499 brief instructions of Beinsa Douno on the various aspects of discipleship, with poetic introductions and endings, 101 pages, $10. The Salt, Sunday Lectures 1917-1919, Power and Life Series Volume 3 For each of 16 lectures, the Master starts with a quote from the Gospels, and expounds upon it from a wide range of perspectives, greatly illuminating essential spiritual principles. 253 pages. $15. The Mindful Heart Seven Lectures by The Master Peter Deunov. These lectures are inspiring, practical, and different from much of what you may have read from Beinsa Douno before.127 pages, $10. "...everyone should know whether a given force goes in harmony with his development or not. In the same way, you should consider whether your thoughts, your feelings and actions go in line with your development. When you come across a thought or feeling, you should immediately look into it; where to place it - to the left or to the right. Disciples must know how to sort out, where to place each one of heir thoughts, feelings and actions. Some disciples will succeed twenty-five percent in sorting out, others - fifty percent, still others - seventy-five percent, and the most capable ones - a hundred percent. Disciples must work on themselves to increase constantly this percentage, so that they do not fall into mistakes and delusions."